I’m not usually a fan of biographies. They don’t usually hold my attention long enough to keep me reading the whole way through. But Dave Holmes has written an autobiography that is not only hilariously honest but also incredibly endearing. 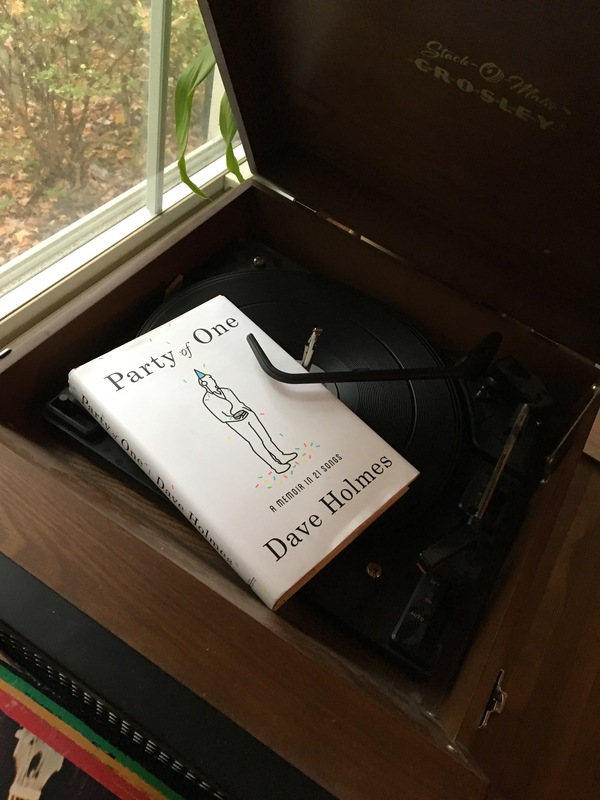 Party of One: A Memoir in 21 Songs is Dave Holmes story of growing up a young, gay male in the 80’s. While I am not: 1. gay or 2. male, I found this story to be truly inspiring about finding yourself when you feel like no one understands you. Holmes’ snarky and honest voice shines throughout the book. Party of One is 272 pages and as I mentioned before, it takes me a little longer to read biographies so it took me 10 days. I want to emphasize that this doesn’t mean I didn’t thoroughly enjoy this book, because I did! I’m just a little slower at reading this type of book! I happily give Party of One a 3 out of 5 for bringing a smile to my face and a new fondness of Dave Holmes. Please leave your comments with your thoughts on this novel! P.S. I received this book from Blogging for Books for review.